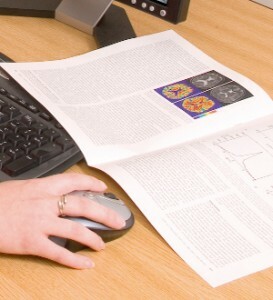 “Thalamic Involvement in Multiple Sclerosis: a Diffusion-Weighted Magnetic Resonance Imaging Study.” Fabiano AJ, Sharma J, Weinstock-Guttman B, Munschauer FE , Benedict RH, Zivadinov R, Bakshi R. J Neuroimaging, 13:307-14 (2003). from Various MRI Sequences.” Horsfield MA, Rovaris M, Rocca MA, Rossi P, Benedict RHB, Filippi M, Bakshi R. Journal of the Neurological Sciences, 216:169-177 (2003). “A Semiautomated Measure of Whole-Brain Atrophy in Multiple Sclerosis.” Bermel RA, Sharma J, Tjoa CW, Puli SR, Bakshi R. Journal of the Neurological Sciences, 208:57-65 (2003). “Selective Caudate Atrophy in Multiple Sclerosis: a 3D MRI Parcellation Study.” Bermel RA, Innus MD, Tjoa CW, Bakshi R. Neuroreport, 14:335-339 (2003).